Comparison of common print sizes. Other sizes available. 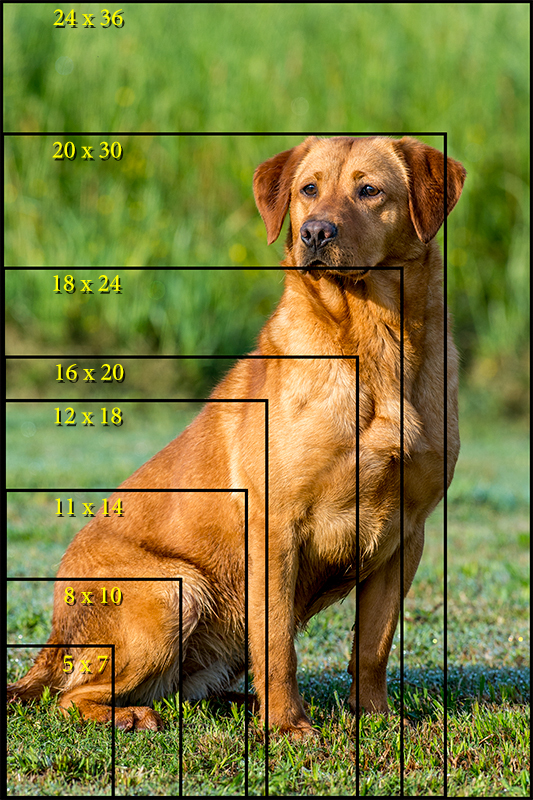 Occasionally, we can’t crop to a certain size on a specific image without clipping critical content- in those cases we will contact you to discuss other options.